Auto theft is on the rise in Colorado. In Grand Junction during the first week of June, ten vehicles were stolen. Here are the most commonly stolen vehicles in Colorado and how to lessen the chance yours is one of them. 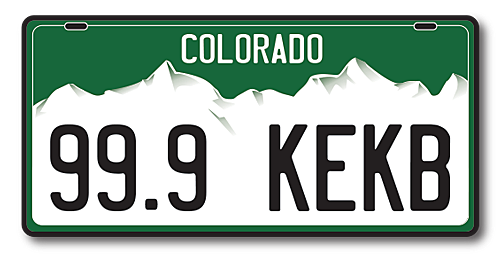 Coloradans Against Auto Theft reports 19,488 vehicles were stolen in Colorado in 2017. That's an average of 375 per week. What are the vehicles car thieves steal the most? Even if your vehicle isn't in the top 10, that doesn't mean a thief won't steal it. Many times car theft, or stealing things out of a car, is a theft of opportunity because the car owner makes it easy. The following tips will help make your vehicle a lot less appealing to thieves. Lock the doors when you're not in the vehicle. Professional thieves can steal your car within minutes. Park in highly visible and well-lit areas. Don't leave an extra set of keys in the car. If someone breaks into your car and finds keys, they'll take the car and everything in it. Put all valuables in the trunk out of sight or don't leave them in the vehicle. Report any suspicious activity anywhere vehicles are parked, even if it's not yours. You can also check the map of areas where the most vehicles are stolen. One other thing to do is talk to your insurance agent or company to see if your policy covers car theft. If not, at least you know and can decide whether you want and need it.